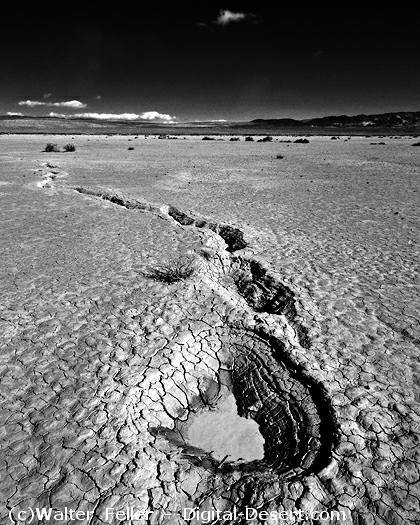 In desert basins, where rivers merge but do not drain, a dry lake bed or playa may form. Playas usually appear to be flat and featureless areas that contain seasonal, shallow lakes that often evaporate quickly, sometimes leaving salt deposits behind. Many of the dry lakes along the Mojave River were water-filled lakes at one time. The model of the Natural Mojave River illustrates how they may have looked and interacted thousands of years ago.